I never thought I could live without cheese, but I'm living without cheese and not missing it. When I learned it is best to eliminate dairy, I realized it meant I could no longer drink milk or eat cheese or yogurt. Yet, the more I learned about dairy issues, I decided I needed to do this, plus there are so many amazing dairy alternatives, such as unsweetened almond milk and unsweetened coconut milk. But, pizza without cheese? No way!! That couldn't possibly taste like pizza or taste good at all. Boy, was I wrong! I decided to make my own gluten-free veggie pizza, and it is delicious! Many people, especially those with chronic digestion discomfort, choose to eat gluten-free because they feel better. I dabble in both using gluten-free (brown rice, millet, buckwheat, quinoa) and whole grain (wheat, barley, rye) flours for cooking, and do not eliminate gluten myself. 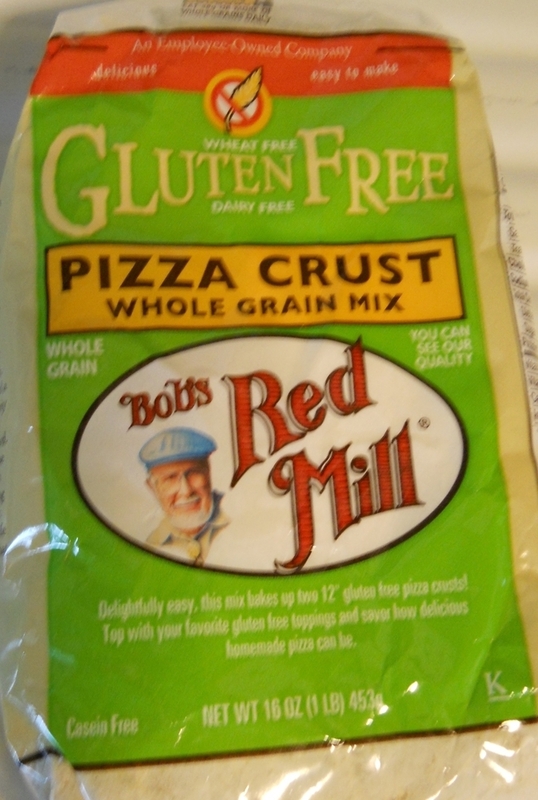 But for now, I thought I would try and make my own gluten-free veggie pizza with a Bob's Red Mill Gluten Free Pizza Crust, which is free of dairy and gluten. I bought the mix from Vitacost.com and bought several as they were on sale. I followed the directions on the package, except I did not add oil. 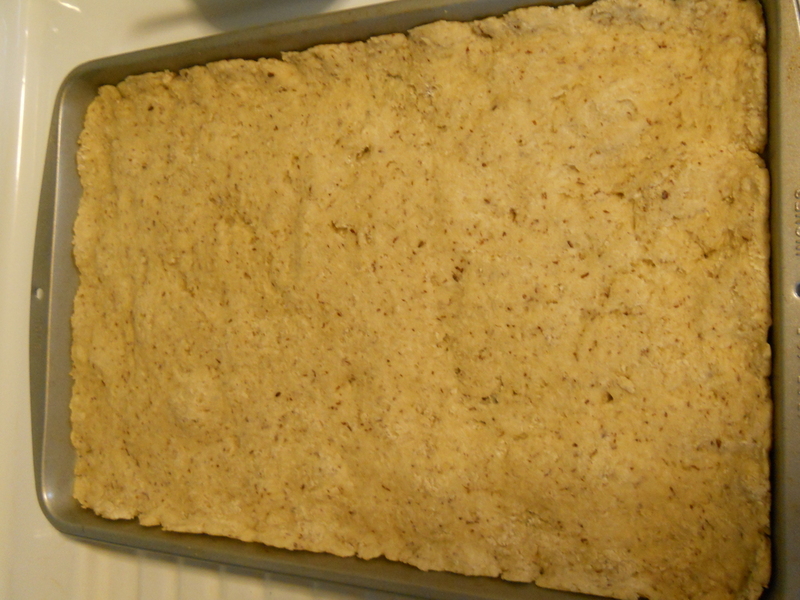 I used the egg substitute offered on the package, which calls for ground flaxseed in place of eggs. I did oil my hands using Nutiva coconut oil when I was spreading the dough on the pan, and I also spread it on the pan so the crust wouldn't stick, but I didn't put any oil in the mix. My goal is to eat a plant-based diet, with no meat, dairy, oil, and sugar. In reality, it is not hard to eat plant-based. I LOVE fruits and vegetables. It has not been hard for me to give up meat. It is, however, very hard to NEVER have dairy, oil, and sugar. So, I'm happy that I am just drastically limiting those, and I feel great. (Read my 80/20 blog.) It's getting easier and easier. After the crust was pressed out on a cookie sheet, I baked it for 10 minutes at 425 degrees. I took the crust out of the oven and spread organic pizza sauce over it (you could also use tomato paste). I topped with peppers, cauliflower, broccoli, and sliced black olives, and sprinkled with organic garlic powder. Popped it back in the over for about 20 minutes. We all love gluten-free veggie pizza. It is a quick and easy meal. Make it in minutes using a frozen crust such Nature's Highlights, which can be found at Whole Foods, and only has two plant ingredients, brown rice and potato. Read frozen crust packages carefully when trying other brands to avoid added sugar, oil and preservatives. I thought I would try and make my own gluten-free veggie pizza with a Bob's Red Mill Gluten Free Pizza Crust, which is wheat free, gluten free, and dairy free. I didn't use oil in the crust but I did spread a little coconut oil on the pan to keep the crust from sticking. The topping combinations are endless. One of Lacey and Scott's favorite quick meals is pizza.